A Bounce House is the perfect addition to a children's birthday party during the spring and summer months. Have a bright and colorful bounce house set up in your yard and invite all of your child's friends over for some bouncy fun! 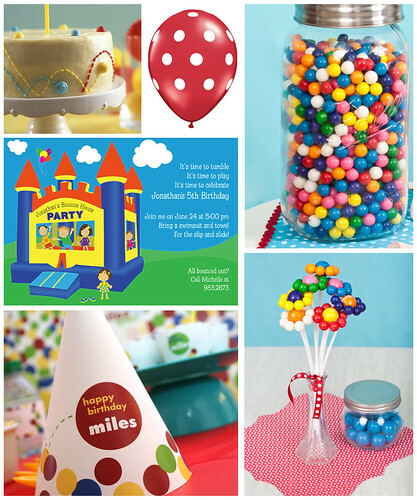 Decorate using bold colors, gumballs, bouncy balls, balloons and polka dots. Kids are sure to enjoy an afternoon of bouncing around with the birthday boy!